The environmentally friendly high performance tire for medium and luxury class cars. Energy efficient: Reduction of fuel consumption and CO2 emissions. Clean air: Made of environmentally friendly materials. The environmental burden is reduced during the production and during the life of the tire to a minimum. High-mileage: Longer tire life while maintaining high performance and safety. 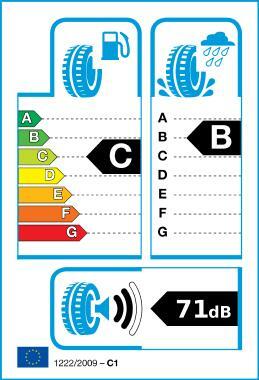 Low noise level: The tire already meets the requirements of the EU directive on the reduction of noise limits, which will come into force in 2012, and offers an improved ride comfort.